Dragon Ball: That Time I Got Reincarnated as Yamcha! Manga Volume 1 features story from Akira Toriyama and art by dragongarow LEE. *This review is spoiler-free. I won’t spoil anything! January is going to be busy with two anime movies based on Shonen Jump titles. 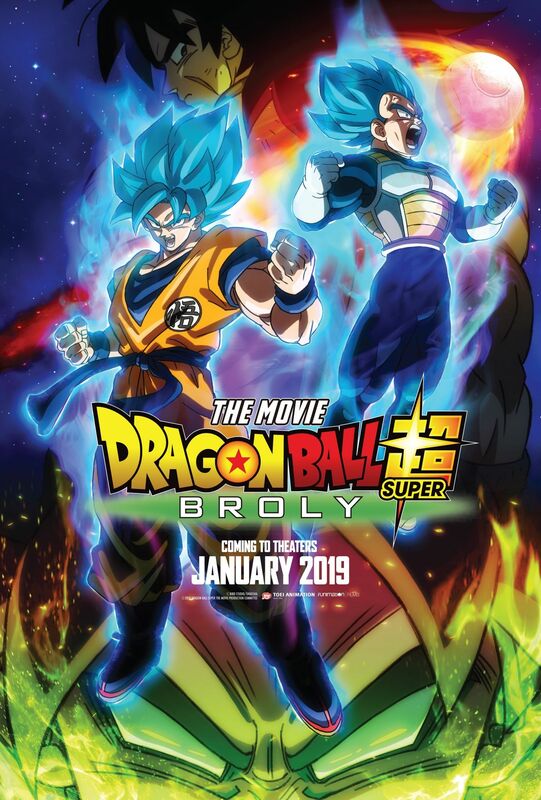 The anticipated movie Dragon Ball Super will be premiering in January 16th and for the first time, you can watch this movie in IMAX theaters in the U.S. The movie was released in Japan in theaters at Jan 14th while U.S. fans was able to see it on Jan 13th at Hollywood. This Wednesday only, fans will be able to watch Dragon Ball Super: Broly in select theaters and will watch in IMAX screenings. The Battle Olympia tournament at Heaven’s Arena is about to begin! Gon, Killua, Kurapika and Leorio plan on watching the matches along with the other Hunters and VIPs in attendance. As they wait, a raid by The Shadow ends the festivities. Skilled fighters fall one by one to their terrifying ability called On, a dark power derived from malice. 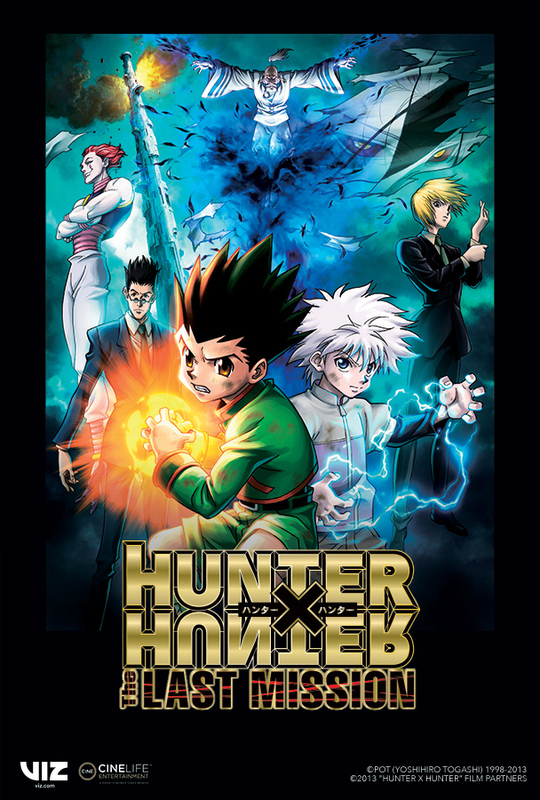 When their leader Jed captures Netero and declares death to all Hunters in the name of vengeance, Gon and Killua rush to defeat him – will they prevail?! World Trigger manga returns from hiatus! Shonen Jump readers, I bring good news! If you are a reader for the Weekly Shonen Jump and been a member from the beginning, you might have remembered the sci-fi series World Trigger. The manga disappeared in the magazine because of the author’s health condition. Revealed in a illustration on Twitter, manga author Daisuke Ashihara is coming out from hiatus and will go back to the series World Trigger. World Trigger will be in the Weekly Shonen Jump magazine on October 29th. The manga took a week hiatus in September 2014 due to cervical spondylosis and occasionally took one week breaks. However, his health grew worse and went to hiatus in November 2016. 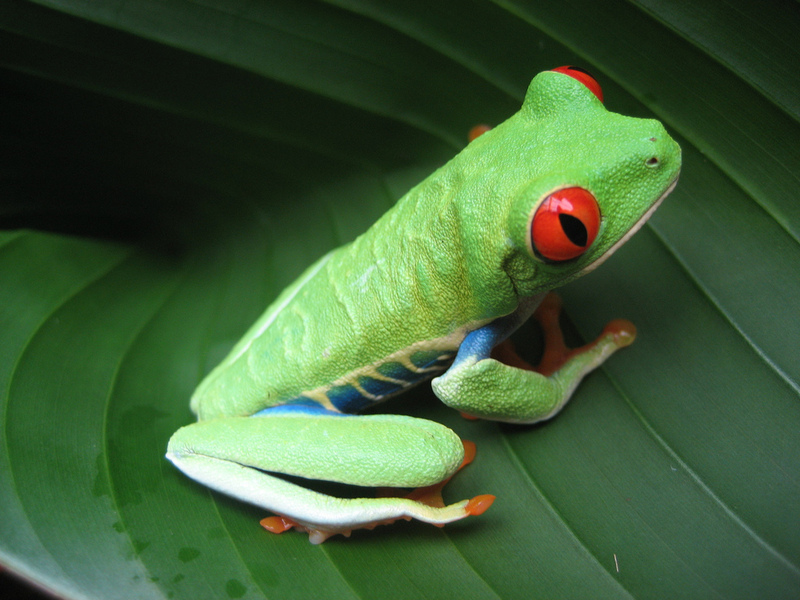 If you are a subscriber to magazine, mark your calendars for October 29th online! Viz Media news: Boruto DVD details, new RWBY manga and Kazuki Takashi One-Shot! Viz Media has been really busy especially since they attended the New York Comic Con, With every convention, there is news for the fans. Announced this weekend, the popular series Boruto: The Next Generation will finally be getting the home video treatment. In the spring of 2019, fans can finally get their own copy of the anime in DVD. Boruto: Naruto Next Generation is a sequel spinoff to the classic series of the Naruto frnachise (it’s the sequel to the anime Naruto Shippuden). The anime is being watched over by Naruto creator of Mashashi Kishimoto. If you like Yu-Gi-OH!, I got news from the manga creator Kazuki Takahashi. 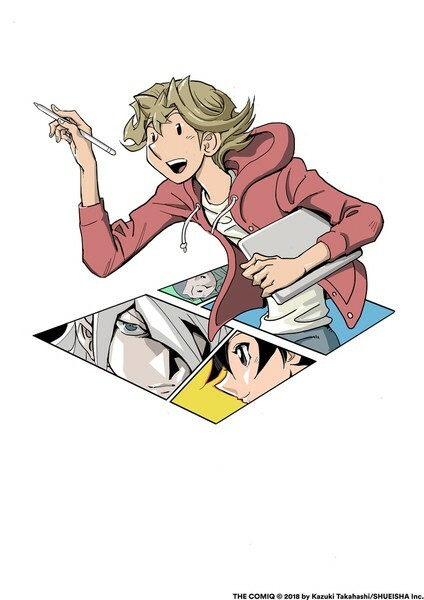 It’s been announced that Takahashi currently created a one-shot manga called THE COMIQ. 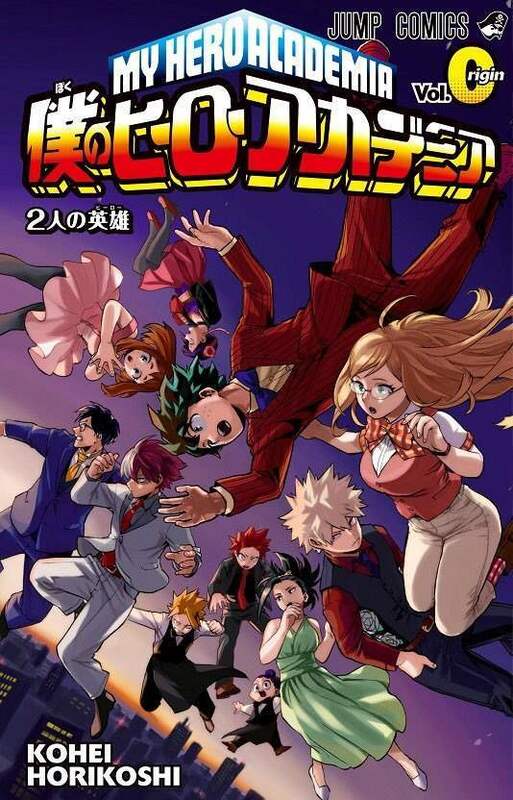 The one-shot manga will be released on October 15th in Weekly Shonen Jump magazine in both the English and Japanese version. 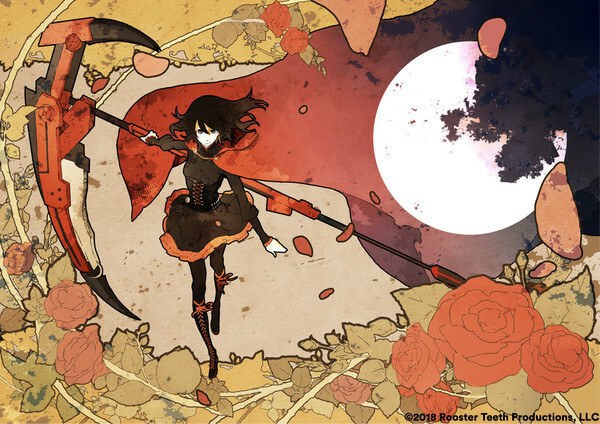 Last but not least, get ready for a new manga adaptation of RWBY. This new RWBY manga is be made by Bunta Kinami. RWBY has appeared in many manga adaptations before such as one made by Shirow Miwa and others where it is made into an anthology collections. 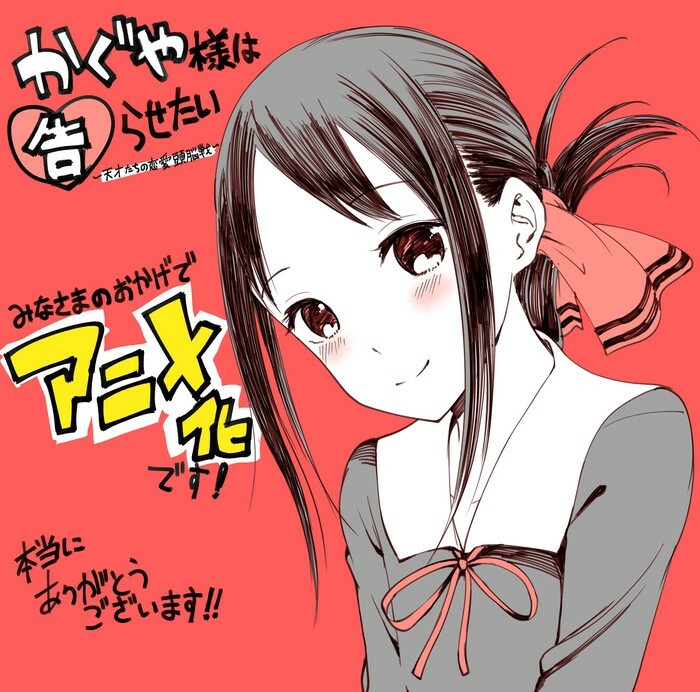 I heard this from my friend Ezra that his favorite RomCom manga series Kaguya-sama: Love is War will become an anime and I felt compelled to write the news. 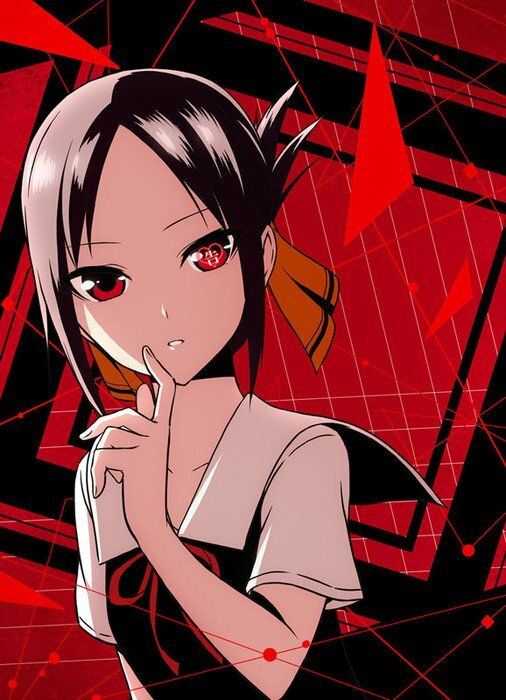 Revealed at ANN, the manga series Kaguya-sama: Love is War, created by Aka Akasaka, will be getting anime adaptation. You can check out the official website and Twitter to stay updated on any news. The creator also drew this illustration below to commemorate the manga’s green-lit success. Revealed this Sunday, English company Viz Media announced at Anime Central that they got the license to release the anime movie and OVA of Accel World. 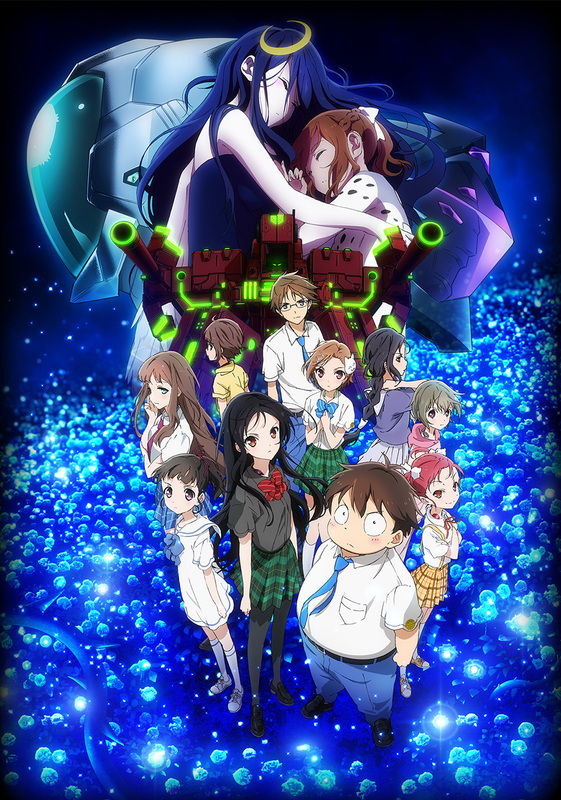 Revealed in Twitter and Anime News Network, the anime movie Accel World: Infinite Burst will have returning voice actors along with new VA for the new characters and it will also be in English Dub. Also being released is the OVAs of Accel World. The OVAs is Reverberation and the other is Vacation. Both of these OVA were bundled in the Japanese games for PS3/PSP in 2012 and 2013. Accel World: Infinite Burst and the OVAs Reverberation and Vacation are planned to be release this fall of 2018. Viz Media licensed One-Punch Man season 2! Revealed on Twitter and the site, English license company Viz Media officially licensed the sequel series One-Punch Man. This comedy-action superhero series will be getting a second season. This news also means that Viz Media will have the rights to stream the anime and also sell the home videos and merchandise. It’s unknown when will the anime premiere, but it will be sometime this year.